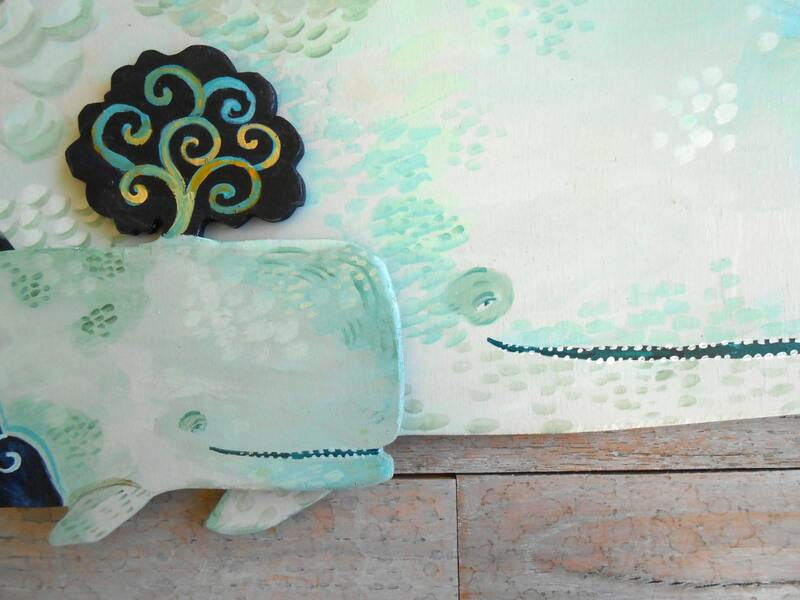 Amandine Mama and Baby wood whales by Kimberly Hodges. 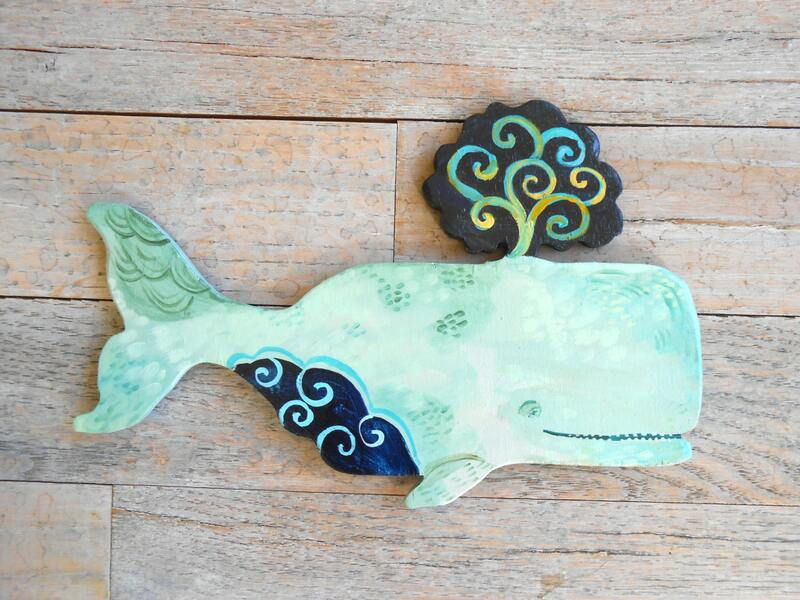 Mama and baby flow and float happily together to cheer up a nursery, pool room, or child's room. My original painting in acrylic printed on wood, I hand scroll cut wood on my scroll saw then sand and lovingly embellish directly on the wood with liquid and acrylic stains. It is signed on the back and has metal hangers for easy installation. 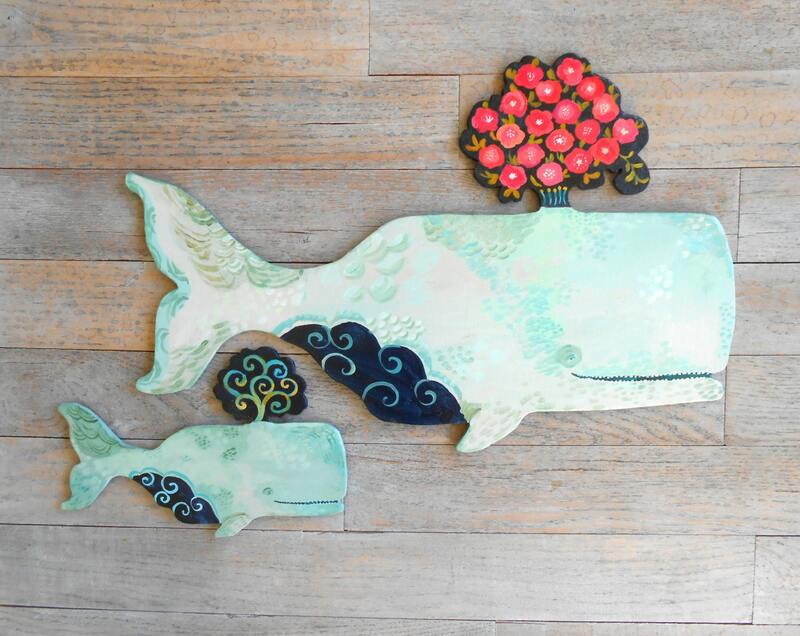 Available either as a mama and baby boy with a wave spout as shown in first pick, or as a mama and baby girl option with both spouts being flowers (as shown in 3rd pic). Ships within 5 business days via USPS. Orders ship USPS and a tracking # will be emailed to you when I ship. Absolutely beautiful. I am so happy to have this. 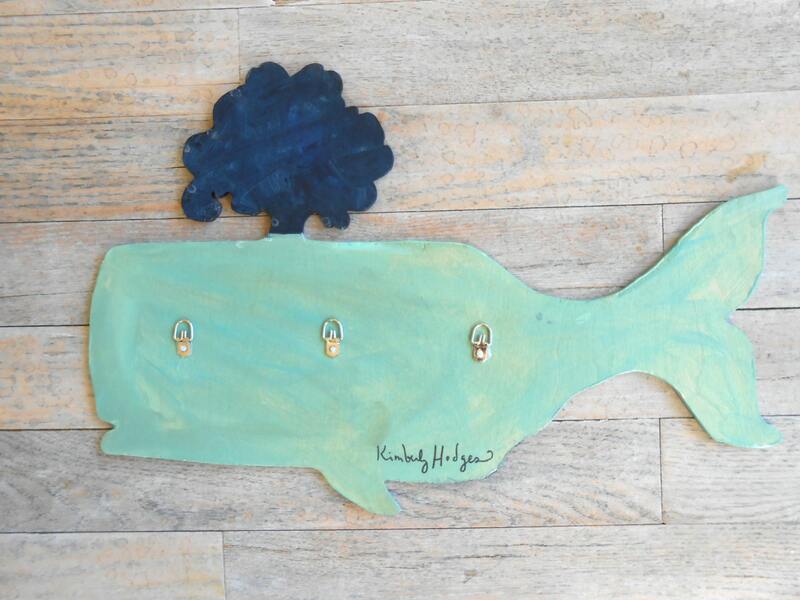 Thank you so much and for the narwhal ornament as well. These are adorable-thanks!! They look so cute together. 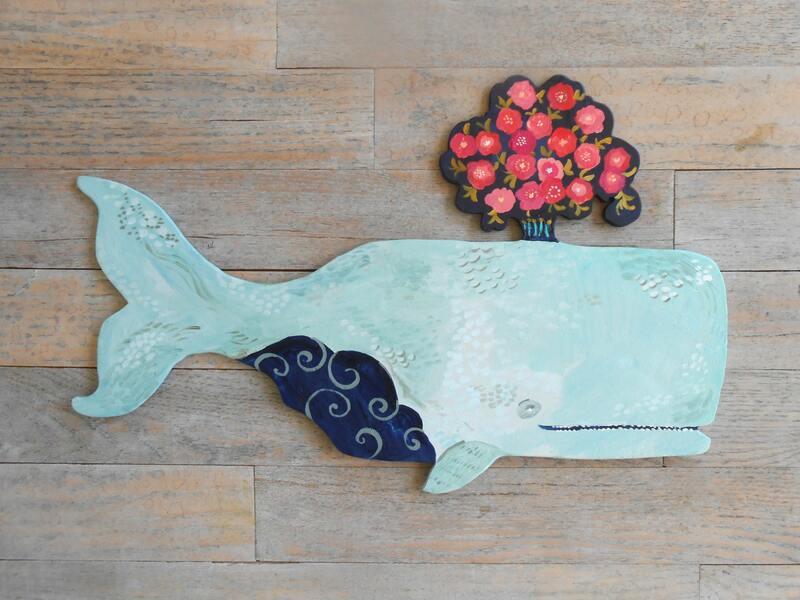 These whales are not only adorable but beautifully and artfully painted. I luv them. I have favorited this shop because everything else is wonderful too!